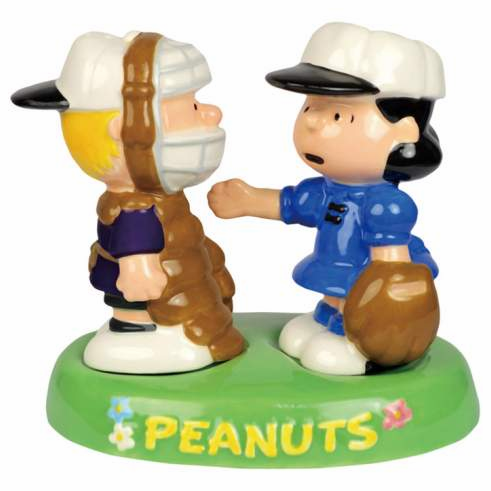 Peanuts Schroeder & Lucy Baseball in Tray S&P Shakers. Shakers on base measure 4" tall. Magnetic tray holds shakers in place when not in use. Ceramic set not dishwasher safe or microwave safe.